The first celebration of all things Volkswagen was at Knebworth Park in September 1988. Since then the event has grown with activities and events that offer something for everyone – from families to confirmed Volkswagen enthusiasts. Tonight (Friday 2 June) a DJ will entertain campers, and live music continues on Saturday night. During the day the Show ‘n’ Shine area will be packed with some of the most pristine examples of Volkswagen cars on display anywhere. 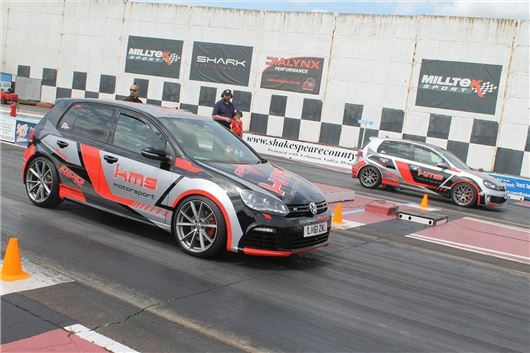 Judging will take place across categories that cater for all kinfs of Volkswagen models, including the Polo, Scirocco and Beetle. Adjacent to the Show ‘n’ Shine area is the Drag Strip, featuring 'run what you brung' with determined drivers accelerating down the eighth mile strip in any road-going or race car they brought with them. Rockingham Motor Speedway is Britain’s only oval circuit but it also includes a twisting infield section, known as the Rockingham National circuit. This will be open to everyone on Saturday and Sunday, and offers the chance for drivers to put their car through its paces on the track. It will will be managed as a regular track day and drivers and passengers will need to attend one of the safety briefings that will run through the day. They must also wear a crash helmet, which can be hired. Some of Britain’s most skilled professional drivers will be displaying their talents at Rockingham. On Saturday Terry Grant will thrill the crowds with his unique display, while Paul Swift will follow him with his jaw-dropping balancing tricks on Sunday. Exhibitors have filled the dedicated Trade Area that can be found in the pit garages of the circuit, as well as the large paddock area at the venue. Gates open at 3pm today, Friday 2 June and at 8am on both Saturday and Sunday. Tickets are available on the gate or can be purchased in advance at www.gtiinternational.co.uk or by calling 01525 750 501.